Muhammad Ali moved into the Parkland neighborhood with his family in 1947, when he was only 5 years old. Our next “Stories of Ali” program will feature contemporaries of Ali, his neighbors and schoolmates, who will share their memories of Ali and will paint a picture of what it was like to grow up in the West End of Louisville, Kentucky during the mid-twentieth century. Mr. Rudolph Davidson grew up in Louisville’s West End and has remained building a prolific career and life. During his 37 year career he served Louisville Government in many leadership positions including, but not limited to, Executive Director of the City and County Community Action Agency, Director of the Louisville Sanitation Department, and Cabinet Secretary of Public Works and Services. He is currently a member of the Metro Government Waste Management District board and a member of the Shawnee Christian Health Center Board of Directors. 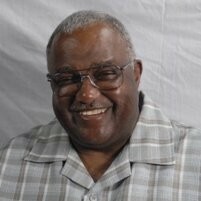 Mr. Robert (Bob) Coleman grew up a few streets away from Muhammad Ali and the Clays. For years, Bob owned and operated J-Town Paper Company, supplying office products to a variety of large and small companies. Bob served as a member of the Board of Directors for the following organizations: the Louisville and Jefferson County Human Rights Commission, O.I.C of America, and Stop Dope Now. He has also been a volunteer at the Muhammad Ali Center for several years. 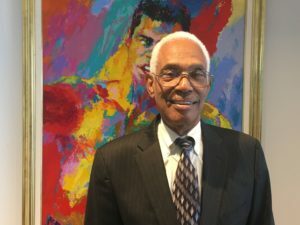 He is involved with several departments, acting as tour guide, a special events representative, and an assistant to our Muhammad Ali Oral History Project. Dr. Henry Cobbs was born in Montgomery, Alabama, but was raised in Louisville from Kindergarten through twelfth grade, a few blocks from the Clays. Dr. Cobbs was a friend of Ali’s and remembers growing up with him and calling him GG. 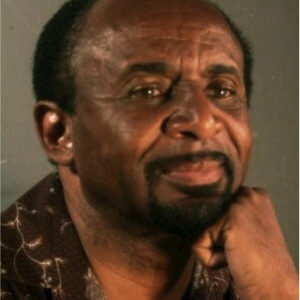 After high school, Dr. Cobbs briefly pursued a career in music entertainment, but ultimately joined the United States Air Force and earned several degrees from the likes of the University of Nebraska, University of Southern California, Troy University, and Auburn University where he earned his terminal (doctorate) degree, and became a professor. He is now Dean of Academics at Air Force Special operations School. This event is part of the "I Am Ali" Festival. Learn more here. It is FREE and open to the public.